Seems like a silly question, doesn’t it? Everyone knows what a book is. 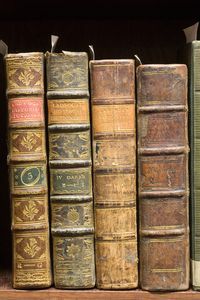 Books used to be made out of dead trees. Lots of paper and ink. Ebooks became quite popular first as PDF style documents and later via readers like Amazon Kindle, B&N Nook, and a few others. I see a new transformation happening right now. It was started last year with the iPad. And from next week's release of Kindle Fire, Amazon jumps into the world of interactive books. Interactivity means business books come alive! As an author, that is a terrific opportunity. The Apple iPad and Kindle Fire bring a non-linear experience to reading a book. You can instantly jump from one part of the book to another. Of course it is in full color. Better yet, now you can instantly link from the book to external content too. It means a book read on an iPad or Kindle Fire is like reading a blog post with links to valuable content from other places. The new book experience means watching the video the author mentioned with one click. It means you can check out the Twitter feed of the expert cited in the text. You can see the cool picture that was once worth 1,000 words. I'm convinced that this new business book paradigm will aid anyone in learning. It means university curriculums will need to adapt. Textbook authors must scramble. It is a new world. Watch this space. There is more to come.